Artificial Intelligence is emerging as one of the most popular trends in the market. AI helps in executing most of the business operations efficiently, eliminating the risk of human error. AI’s role is not only limited to sectors getting advantage from chatbots and VPAs, but is also benefiting many other verticals like healthcare, education, and farming with its dynamic use cases. It is the most important factor behind the progress in Marketing. Nowadays, digital marketing specialists take help from immense data available on the web. Analytics tools available in the market helps strategists in getting detailed information about the market trends related to their verticals. These insights help industries in understanding what users and markets are going through. 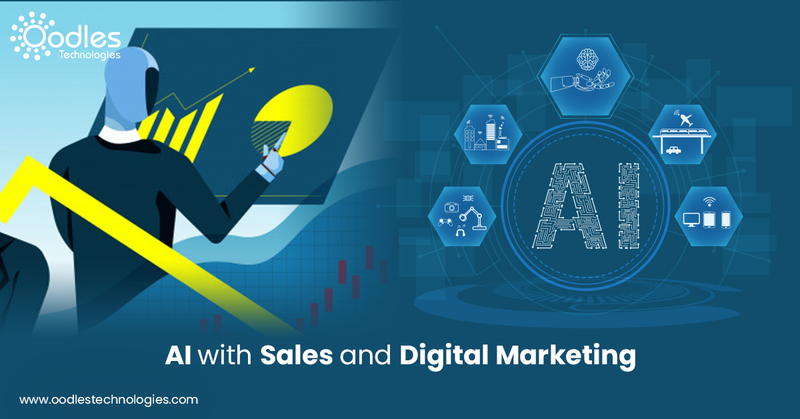 Digital Marketing and advertising sector especially, are adopting AI to improve their operations related to data analytics, market forecasts, and to target audience accurately. Here are some of the beneficial aspects of AI in the marketing and advertising industry. Advertisement companies utilize user information optimally. However, without the right set of technologies to utilize big data, the latter cannot offer many business benefits. Herein, AI emerges as an effective technology to utilize big data. Big data does not seem to assist them much as long as they don’t have the right technology or resources to use it. AI is helping in this particular arena in incredible ways. The technology is helping them to create accurate parameters for audience targeting and find out the behavioral patterns. Organizations can gather detailed information from their users using Artificial Intelligence, but utilizing this data after analyzing is even more important rather than just collecting it. The next level AI will be an essential factor in minimizing this difference, offering the capacity to look for and distinguish the designs that will be valuable for advertisers in their advertising campaigns. AI enables sales and marketing teams to reach their potential customers in every stage of their business process. It expands the productivity of marketing teams by segregating the customers into various groups to focus on the targeted group of customers. Rather than building one advertisement campaign to reach potential consumers, advertisers customize them, they come up with simpler promotional content which is distinctive as per the targeted sections of customers. AI assists in understanding the aspects of a website that makes it user-friendly. The site should be organized for every individual customer. In the digital era, this helps in expanding the business by offering the best user experience to consumers. AI helps marketers to approach problems from a larger perspective. It is hard to minimize the role of AI in marketing operations. It let them get out of conventional marketing methods and approaches to enabling them to concentrate on brand building, customer acquisition, and high-end sales. Instead of investing energy and time on getting more information, marketers can invest additional time on relevant data to render efficiency in their processes. They should look at AI components to ensure effective monitoring of data flow and market behavior. AI has the ability to change advertising, sales, and marketing. Artificial Intelligence enables marketers and advertisers to make increasingly instructed, customized campaigns to get new customers. It is helpful in getting deep knowledge about AIs role in the sectors of sales and marketing. Oodles Technologies is a well-known name in AI, IoT, and digital marketing. For business-specific requirements, please feel free to Contact Us.